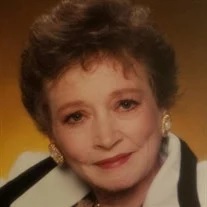 Frances Howard, 78, of Rossville, passed away on Saturday evening, February 9, 2019. She was a lifelong resident of Rossville and retired from Shaw Industries. She was a graduate of Rossville High School class of 1958. She is preceded in death by her mother, Willie Meadows and brother, William Proctor. Survivors include her daughter, Sandy Reagan, of Nashville; sister, Norma Coulter, of Rossville; nieces, Debbie Thomas and Lisa Proctor; and nephew, Billy Coulter. Graveside services will be held on Monday, Feb. 11 at 1 p.m. at Crestlawn Memorial Park. To share expressions of sympathy, visit ryanfuneralhome.net. The family will receive friends on Monday, Feb. 11 from 10 a.m.-12:30 p.m. at Ryan Funeral Home & Crematory, Trenton.